The wonderfully fresh aroma of real bergamot blended with naturally caffeine free rooibos tea to give the classic Earl Grey taste. The Dragonfly Rooibos Earl Grey Tea - Naturally Caffeine Free - 40 Bags product ethics are indicated below. To learn more about these product ethics and to see related products, follow the links below. 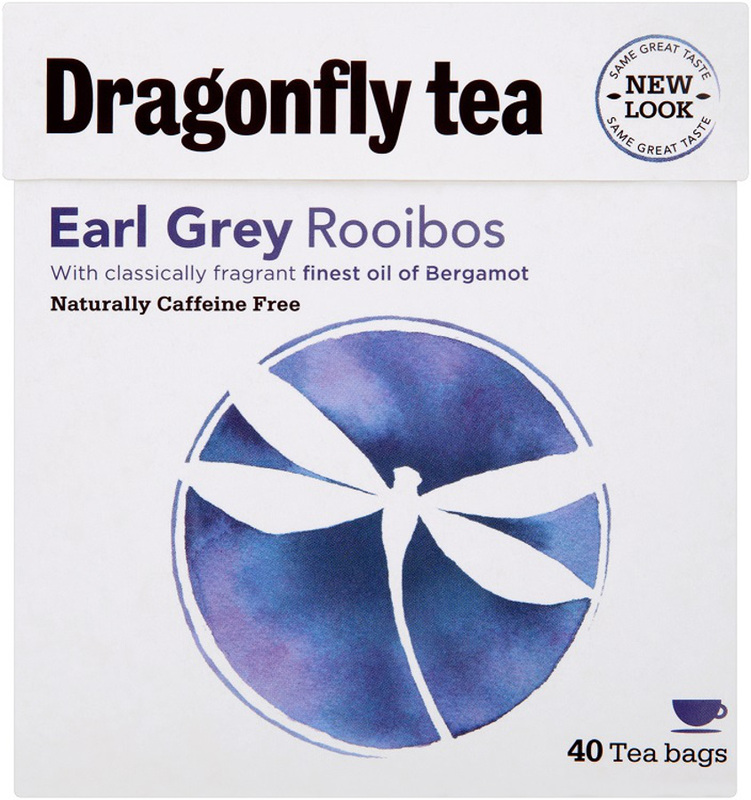 There are currently no questions to display about Dragonfly Rooibos Earl Grey Tea - Naturally Caffeine Free - 40 Bags. 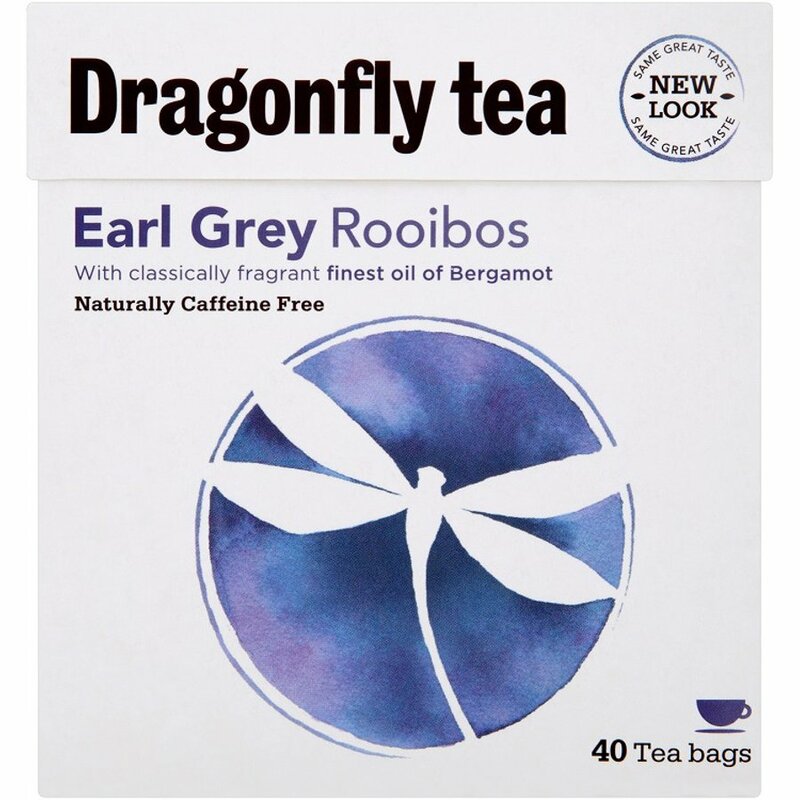 Ethical Superstore lovesDragonfly Tea Fairtrade Organic Rooibos Tea. Rooibos is the Afrikaans word for \"red bush\". This tea has high levels of antioxidants, is naturally caffeine free and has very low tannin levels.